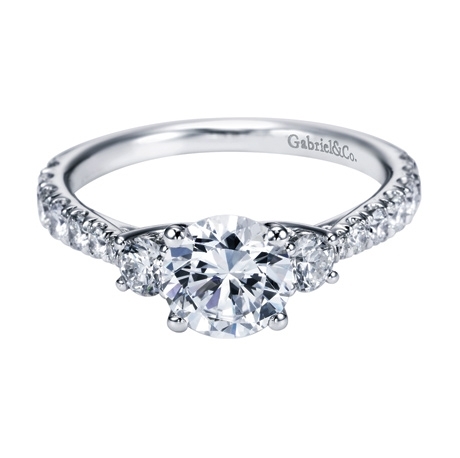 Only 16 round diamonds in this 3 stone engagement ring, but they weigh 2/3 of a carat! 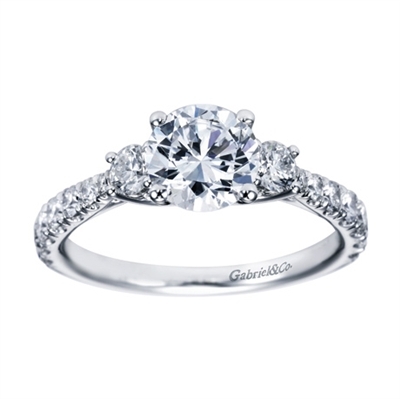 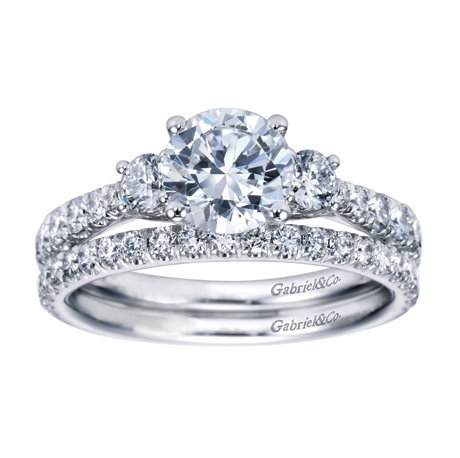 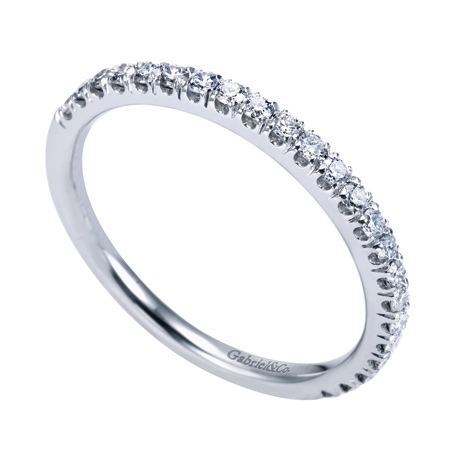 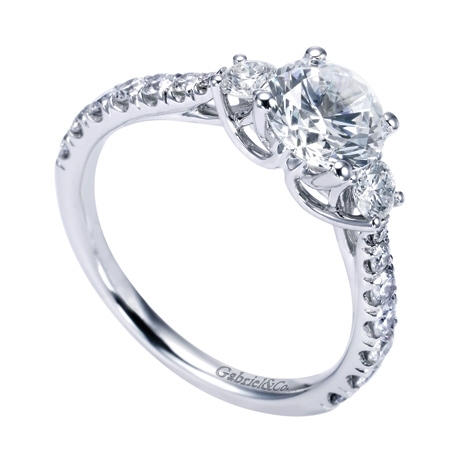 She will be shocked to see her beauty reflected in the luster of this engagement ring. 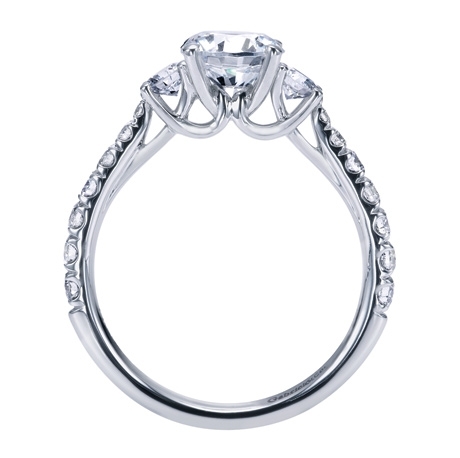 A simply set but elegantly styled contemporary 3 stone engagement ring with 2/3 carats in round brilliant diamonds.